The Embassy of the Republic of Indonesia celebrated its 73rd Independence Day on 4 September. The Embassy of Indonesia organised a fashion show to display Indigo batik collections and featuring Indonesian traditional dance performances to celebrate its Independence Day and the 66th anniversary of diplomatic relations with Sri Lanka at the Shangri La Hotel on 4 September. 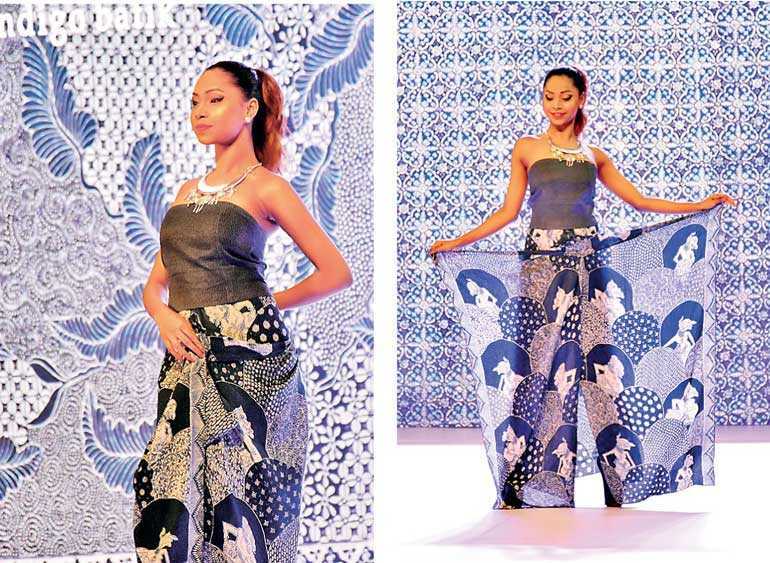 Upon an invitation by the Embassy of Indonesia, apparel company Galeri Batik Jawa showcased its collections to promote the Indonesian culture of indigo batik in Sri Lanka. Asserting that Sri Lanka’s business sector is attractive to other countries, he called for an enhancement of bilateral trade between the two countries and said the Government hoped to maintain a long-term relationship with Indonesia in the years ahead. Indonesian Ambassador I.G. Ngurah Ardiyasa stated that Sri Lanka’s economy was progressively growing and Sri Lanka’s strategic location had attracted investors to capitalise on benefits in the trade and tourism sectors. He acknowledged that Indonesia and Sri Lanka had maintained excellent bilateral trade relations since the establishment of diplomatic relations in 1952. “We encourage entrepreneurs in both countries to work together for our mutual benefit. To boost the number of foreign visitors to Indonesia, the Indonesian Government has given free visa for 30 days to 169 countries, including Sri Lanka,” he said, adding that SriLankan Airlines operates direct flights from Colombo to Jakarta. He also spoke about how indigo batik supports women’s empowerment in Yogyakarta, which is known as the ‘City of Batik’ in Indonesia. Fashion industry representatives, officials from Government institutions, diplomats, entrepreneurs and the Indonesian community in Sri Lanka witnessed a unique collection of batik trends at the show. Traditional Indonesian dance performances ‘Lengger Lenggasor’ from ‘Purbalingga’ and ‘Lenggang Nyai’ from ‘Betawi’ impressed the Sri Lankan audience and proved to be a highlight at the event.